You must have heard of painting on rice grains, leaves, vegetables and on many day today use items. 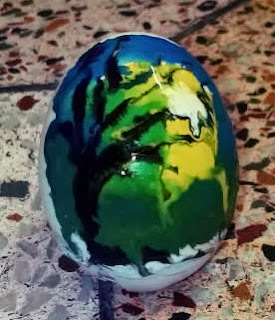 Here is one such painting by Devs Creative Horizon on Egg Shells. 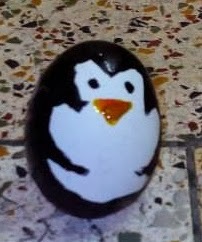 The painting depicts a penguin on Egg Shells.